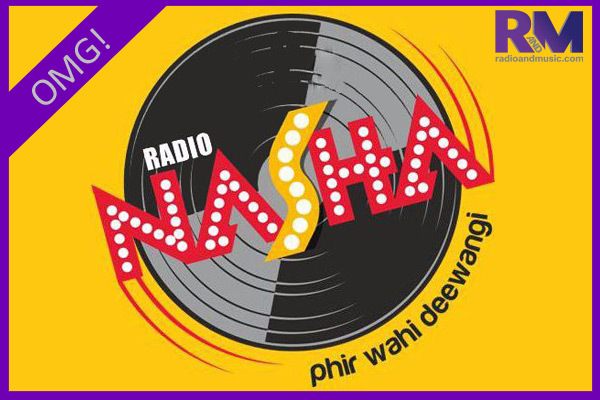 MUMBAI: HT Media’s Radio Nasha is all set to launch its new show. Along with the show, they have also announced the launch of a new RJ. Let us give you a hint; he is the only crime master of Bollywood industry. Well, it is none other than Shakti Kapoor. Radio Nasha RJs don’t seem happy with the new launch. Thus, they have decided to go on strike for a day. Yes, you heard it right. Radio Nasha Mumbai and Delhi will run without RJs today. This is an interesting marketing strategy for the upcoming Shakti Kapoor show. Under this, the RJs will resign for a day. The Crime Master Gogo Show with Shakti Kapoor will go on-air from 9 July and the promos will run from today. Celebrity programming is one of the key content pegs at Radio Nasha. The station is known for roping in celebrities like Anil Kapoor, Satish Kaushik, Amit Kumar, Pankaj Udhas and many others as hosts of their shows in the past. Not just that, Radio Nasha Super Star has a new star every week where the listeners get a chance to talk to their favourite stars directly. Shakti Kapoor will bring alive the show in a very interesting format with some interesting anecdotes of Bollywood villains. Stay tuned to Radioandmusic for more updates. MUMBAI: Popular in the Indian hip hop circuit as beatslayer, Abhishek from the popular group, 7 Bantaiz has recently worked with Radio Nasha’s RJ Anmol for Ek Main Aur Ek Tu. But, Abhishek, didn’t know, who RJ Anmol is until Radio Connex happened last year in October 2018. Weekends Wrapup: Top stories to check out! RJ Anmol's new show 'Life Zara Hatke' is for youngsters, who want to live a 'Hatke' life! MUMBAI: Radio Nasha star RJ Anmol is all set to host a ‘Hatke’ show, Life Zara Hatke, a platform for youngsters, who have the courage to live their life, different from the mainstream, but lack the right motivation. MUMBAI: Radio Nasha’s RJ Anmol is a big Rekha fan as we all know he recently had released a recreated music video Khwab Ho Tum, a dedication to Rekha.